I love crafting with recycled materials. 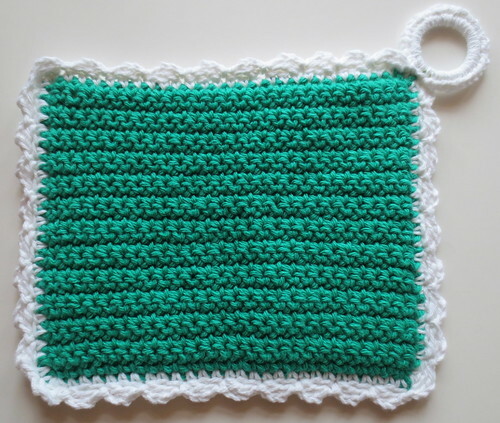 So when I crocheted these potholders, I used recycled plastic rings for the projects. 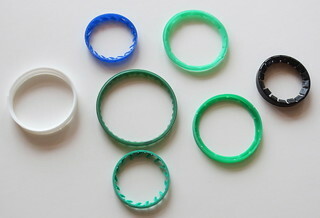 I recycled these plastic rings from milk, juice and other plastic bottles. Here are two crocheted potholders I made using my recycled rings. 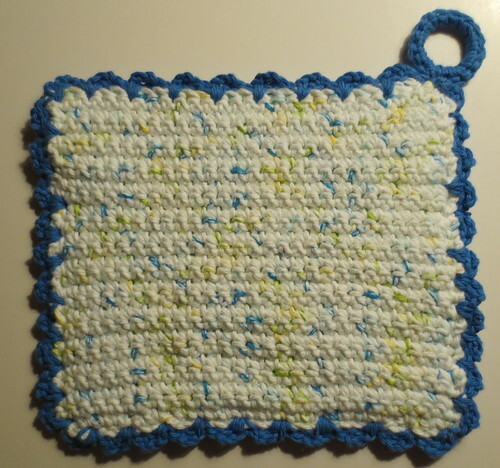 The green potholder has a milk jug ring for it’s loop ring and the blue speckled potholder has a smaller juice ring for the hanging ring. So depending if you like a larger hanging loop or smaller, just choose the ring dimension that you like best to crochet around the plastic ring for your potholders.